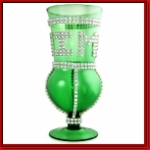 This is the Lil' Jon Style Gold Glass Pimp Cup. 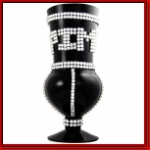 This is a unique personalized glass pimp cup. 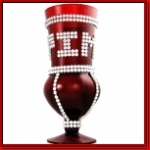 Our cups are customized using your choice of color then personalized with your own words or name. 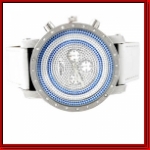 * Are you planing a party or a visit to the discothek? 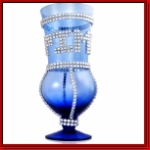 * Attract Huge attention with this pimp cup! *YES, YOU CAN DRINK OUT OF THESE GLASS! 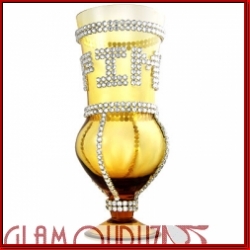 * Gold glass pimp cup- just like your favorite rappers. 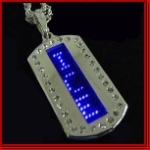 * Great for parties or gifts- use it at home or take it out , will definitely attract WICKED attention!